"Esprit… élan… panache… gloire… How can one translate a single one of these words? They all mean one thing: Arsène Lupin. He is madness and wit and grace and Moon-touched audacity. He is the effrontery of the individual who dares oppose the State. He is the outrage of anarchy, the fallacy of individualism. And he refuses to die..."
Arsène Lupin, the prodigious gentleman-burglar created in 1905 by Maurice Leblanc, has become an enduring myth who, like his counterpart and cherished foe, Sherlock Holmes, has inspired many pastiches over the years. 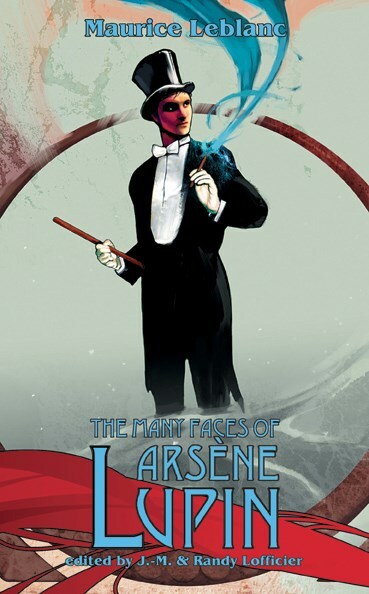 This collection offers two, never before translated Arsène Lupin tales by Maurice Leblanc, plus nineteen other stories, including five written especially for this volume. A host of celebrated writers, such as Thomas Narcejac, the author of Diabolique and Alfred Hitchcock's Vertigo, Edgar- and Hugo-Award winner Anthony Boucher, French playwright André Mouëzy-Éon, Canadian science fiction author Jean-Louis Trudel, Belgian author Alain le Bussy, French author Xavier Mauméjean, and many others take Lupin from the shadowy Rue Morgue in Paris to the bustling streets of Saigon and the smoky dens of Casablanca. Watch the indomitable gentleman-burglar use his gallic charm to cross swords with Sherlock Holmes, the Phantom of the Opera, vampires and nazis -- and even the Devil himself!